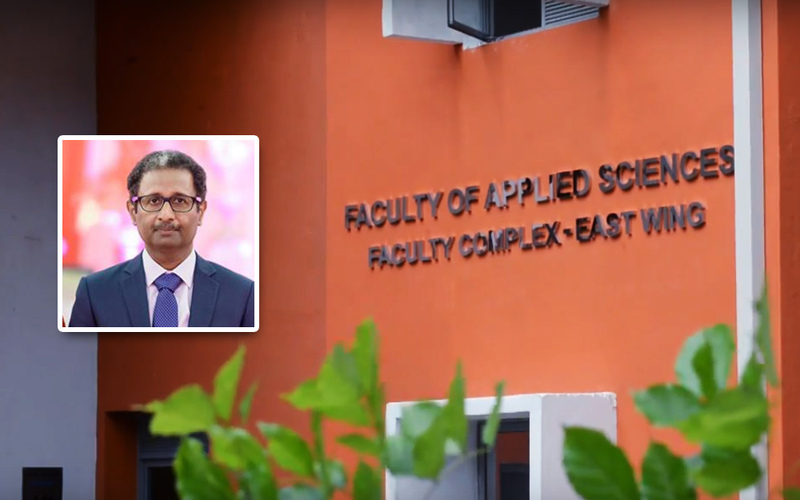 Prof. Laleen Karunanayake was elected as the new Dean of the Faculty of Applied Sciences at the Board Meeting of the respective faculty held yesterday (12th March 2019) with the chairmanship of Prof. Sampath Amaratunge; Vice Chancellor of the University of Sri Jayewardenepura. Prof. Laleen will be assumed in duties from tomorrow (14th March 2019). The former head of the Department of Polymer Science; Prof. Karunanayaka obtained his B.Sc Degree from the University of Sri Jayewardenepura and his Ph.D. in the area of Polyurethane/PVC blends from the School of Polymer, University of North London. In 1989, he started his career as a Research Officer at the Rubber Research Institute of Sri Lanka. In 2000, he joined the Department of Chemistry, University of Sri Jayewardenepura, as a Senior Lecturer in Chemistry. He spent his sabbatical leave at the Sri Lanka Institute of Nanotechnology (SLINTEC) working as a Senior Research Scientist. He led the research group on Textiles at the SLINTEC for two years. He was promoted to a post of Professor-in-Chemistry with effect from 2011.